By the end of 2018, the result of Vietnam’s shrimp export was not as positive as expected. According to the General Department of Fisheries, in 2018, the total area of shrimp farming in brackish water of Vietnam was about 720,000 hectares. The area produced about 745,000 tons of output. With the current shrimp farming area in brackish water, the demand for shrimp larvae and juvenile is about 130 billion. Of which, there is a need of about 100 billion whiteleg shrimp and 30 billion black tiger prawn. The number of broodstock needed is 250,000, including 200,000 whiteleg shrimp and 50,000 black tiger prawn. In 2018, Vietnam has 2,457 facilities producing brackish shrimp larvae and juveniles. The key production areas are provinces in the southern central region. Currently, the production of aquatic breeds in Vietnam, as a result of extensive research and broodstock selection, is still limited. Broodstock play a key role in the brackish water shrimp production chain. It is necessary to manage supply sources of broodstock and avoid dependence on imports. By the end of 2018, the result of Vietnam’s shrimp export was not as positive as expected. The export declined 7.8% compared to 2017 and reached $3.55 billion. This figure was lower than the target. In 2018, shrimp export only increased in January and March and decreased in the remaining months. The export values of whiteleg shrimp and black tiger prawn in 2018 decreased compared to 2017, respectively 3.5% and 7%. Among exported shrimp products, only processed whiteleg shrimp increased by 4%, and the remaining products decreased. Processed black tiger shrimp especially showed a large decline by 21% compared to 2017. To meet the consumers’ needs, this year, farmers in Hung Yen Province develop the farming of Dong Tao chicken and hybrid Dong Tao chicken to prepare them for sales on Tet holiday. With more than 2 million Dong Tao chickens and hybrid Dong Tao chickens raised widely in districts and cities of the province, the market of these specialty products is expanding when the Lunar New Year 2019 is close by. Dong Tao chicken has big legs,massive body, red comb, and silky fur. It is becoming a valuable gift from consumers to their friends and relatives during Tet holiday. Usually, for a Dong Tao chicken weighing more than 4 kilogram and sold as a gift, it can cost from VND1.5 million to VND2 million. 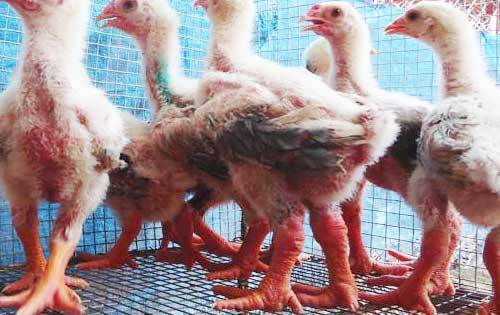 Some chickens considered to be more beautiful can cost about VND4 to 5 million each. Dong Tao chickens with outstanding appearance or purebred broodstock can cost up to tens of millions of Vietnamese dong each. According to authority of Song Hinh District, Phu Yen Province, many areas of cassava in this region are damaged due to long-term flooding. Preliminary statistics show that about 1,000 hectares of local cassava have rotten tubers at a rate of 50-70%. Song Hinh is the locality with the largest cassava area in Phu Yen Province. It has over 10,000 hectares of cassava. At this time, 3,000 hectares have been harvested while the remaining area is in the period of growing tubers or preparing to harvest. Fococev Vietnam Jsc. is buying cassava from farmers at the price of VND2,200-2,400/kg of fresh tubers, depending on the percentage of starch. Dien Pomelo is a famous fruit of Phu Dien, Tu Liem District, Hanoi City. For many years, this pomelo species has been brought and grown in Hung Yen Province. With extensive caring techniques, the fruit achieves high results in quality and yield. This year, despite unfavorable weather, with many years of technical and care experience, farmers in Hung Yen still ensures the quality and selling price of Dien pomelo. The fruit is bringing high economic efficiency to its growers. Hung Yen Province currently has more than 1,000 hectares of pomelos of all kinds, mainly Dien pomelo, Hoang pomelo and green skin pomelo. The economic efficiency from Dien pomelo is higher than other crops. Moreover, the species is suitable for land conditions in many localities of Hung Yen. Additionally, the market demand for this pomelo variety is large. At the forum "Business accompanying agriculture, farmers, and rural areas in 2019," the General Council of Agriculture and Rural Development Vietnam called for strengthening a close connection between farmers, government, investors, banks, scientists, and distributors. In 2018, the agricultural sector grew by 3.76%, and supported to the overall growth of Vietnam’s economy. Agricultural, forestry and fishery export significantly contributed to the total export turnover of the country. The Mekong Delta is facing unusual weather. Its early saltwater intrusion and late high tide especially cause difficulties for farmers. On January 24th (or December 19th of the lunar calendar), the high tide on the Hau River suddenly surged and flooded many roads in the inner city of Can Tho. The high tide was considered unusual in Can Tho since the flood season normally ends in November of the lunar calendar. Meanwhile, in Ben Tre, a salinity of 4‰ appeared in areas that are 40 to 50 kilometers into Cua Dai, Co Chien and Ham Luong Rivers. This was an early saltwater intrusion occurring Ben Tre Province and the Mekong Delta region this year. Farmers in Can Tho City and many provinces in the Mekong Delta are taking care of their ornamental flowers to prepare for the Lunar New Year market in 2019. Although the supplies of some species may be reduced due to the impact of unfavorable weather, the overall sources of flowers and plants are still plentiful and diversified. This creates opportunities for consumers to choose different varieties of flowers for the Lunar New Year holiday. According to many businesses, ornamental plants and bonsai possibly continue to maintain stable supply sources. Some types of flowers may increase slightly in term of quantity if the demand continues to increase.